February was a foodie month for me. Due to my living situation, I was unable to cook. Broke my heart & broke my wallet. I was able to lure my sister to Georgetown with the promise of free breakfast if she gets out of bed at 8am and dressed in 15 minutes. That chyck was ready in 10. We browsed the shops and came across La Madeline's. The Sunday morning brunch crowd was popping and luckily we snagged a table within minutes after our arrival. 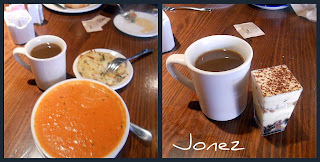 I'm not a big breakfast person, so I settled on their 'famous' tomato bisque soup with this potato patty dish. That potato patty was delicious! I wanted more but at $2.50 a pop, I made it last. Immediately following, our sweet tooth kicked in. I settled on Tiramisu and she got the Boston Cream Pie. Why didn't I take a picture of her dessert, I have no idea. My favorite Auntie G came to town to visit. Due to her late arrival, we only had time to catch up over dinner. It was Restaurant Week at the National Harbor so we drove over to the area to check it out. Auntie G was in the mood for steak and/or seafood and Bond45 fit the bill. 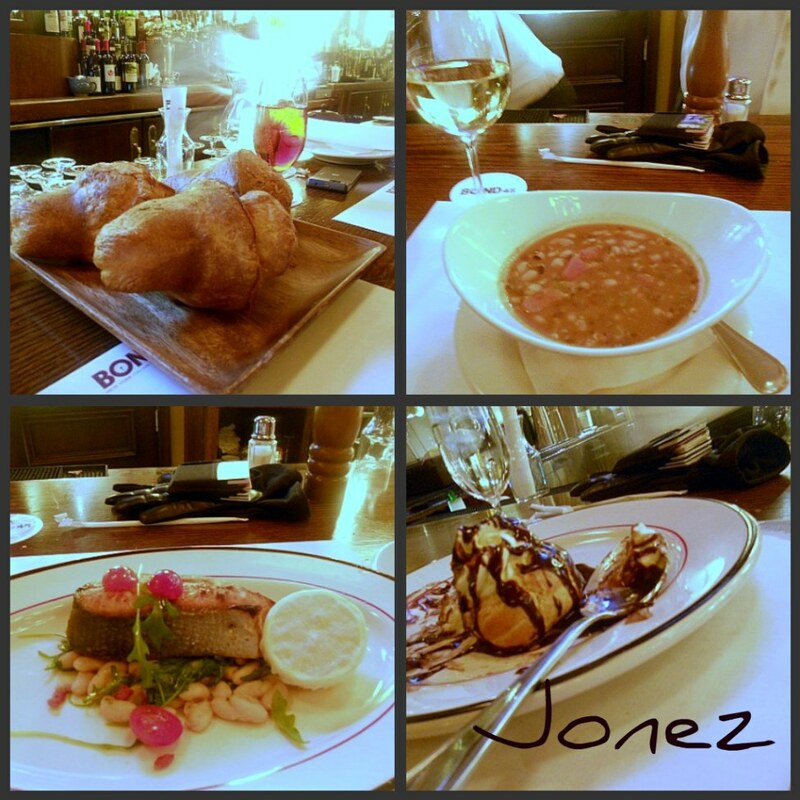 Thank God for Restaurant Week cuz Bond's prices are on the high side. 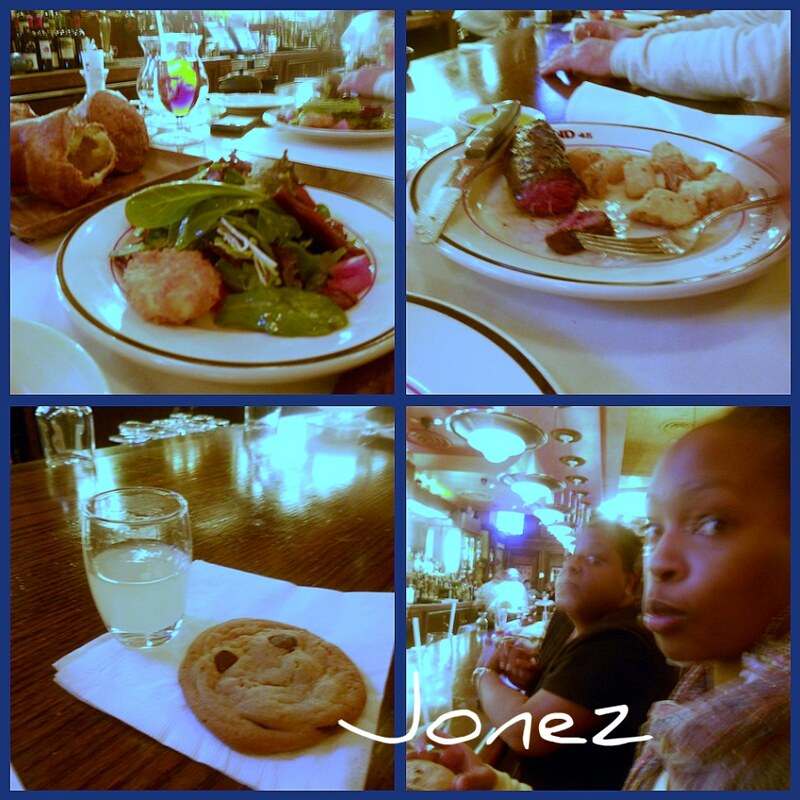 We were able to enjoy a 3 course meal for $35. I'm a transitioning vegetarian but I'm not quite ready to give up fish. After I ordered my glass of wine, the server brought out this huge bread. I know there's a name for them. I don't feel like looking it up. This bread tasted like warm, fluffy, clouds. Yum. Yum. Yum. I felt like I was eating air. As you can see, I sopped up the remaining of my 5 bean soup with it. Entree: Salmon with baby tomatoes & white beans. Dessert: Again it has a name. Starts with a P. It's a pastry with lots of drizzling chocolate. Here's a few more pics of my Sis' braised pear salad and Auntie G's steak. Bonus: Server treated us to fresh baked chocolate chip cookies and a shot of limoncello to cleanse our palette. Win! I enjoyed Bond45. It was crowded and the service was fast and friendly. Awesome date night spot and they are right by the water if you want to take that romantical stroll afterward. I cant' remember the name of this restaurant so I'm calling it "Lunch Break". It's located in Old Town Alexandria. It wasn't even 11:00am and my boss was already frustrated with the way the day was going. She blurted out that she needs some wine. I commented off hand that it's already 5'0clock somewhere. 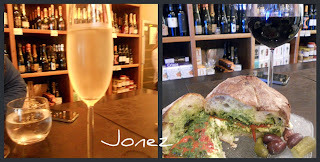 On that note, we walked three blocks to a local wine bar for some vino and a sandwich. Wine. At lunch. During work. On the boss' dime. W-I-N! Bosslady ordered a glass of red and I chose a sparkling wine. We both got this delicious, delicious, delicious sandwich with Buffalo mozarella, roasted red peppers and pesto. Bosslady added prosciutto to hers. After lunch we headed next door to Lavender Moon's cupcakes. 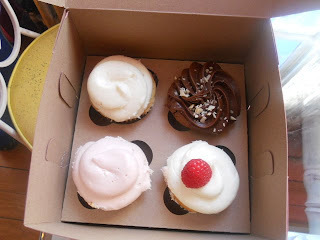 Very few cupcake places impress me and my boss was convinced that Lavender would win me over. Eh... no. So far, CocoSala wins! 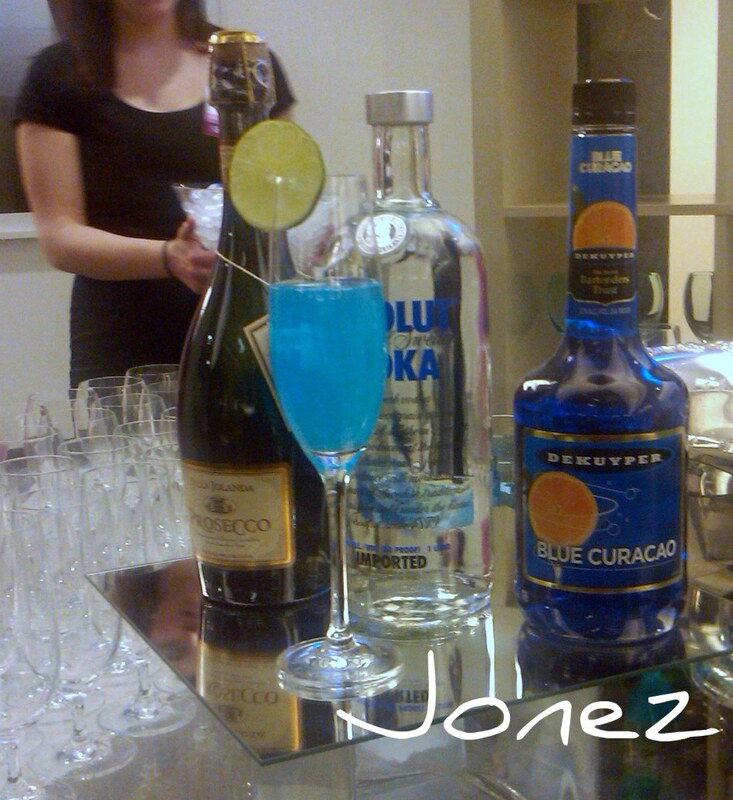 I attended a party downtown hosted by Metro Events. It was an opportunity for me to network with local event planners and sample some amazing food. Unfortunately, I lost some of the pics I took and I'm feeling a little lazy to upload the video footage I took of the event. 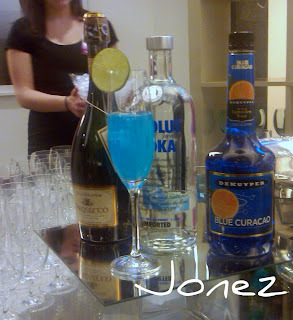 Upon entering, I was greeted with this electric blue cocktail. Taste good, but needed more champagne. In other words, not potent enough! The star of the evening, the mashed potoato bar. Very appealing to a carb addict like myself. 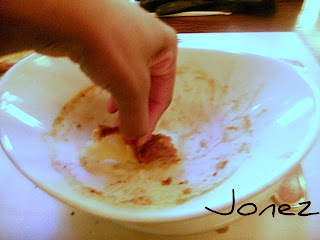 The bar featured 3 potatoes: yellow, peruvian purple, and sweet bourbon mashed potato. Accompany the bar was every topping imaginable including scallions, cheese, and caramelized onions. The first picture, I got all three potatoes crammed in a martini glass with various toppings. I fell in love with the Peruvian mashed. (Before today, I've never seen purple potatoes). I love onion everything so I loaded up on the onion and sour cream. Yummmmy!! I was craving breakfast one morning and past a restaurant that advertised a French Toast special. With agave and fresh strawberries. If you haven't tried agave yet, run, not walk, to your nearest grocery and get you some! It's an amazing replacement for honey or sugar. This is a horrible picture because I snapped it when I was half way thru it. 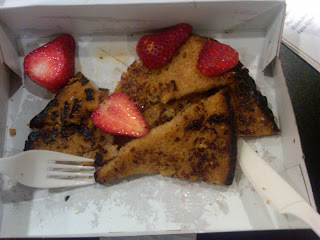 After the first bite, I went IN on these french toasts. You can find this plate of awesomenss at Le Pain Quotidien. Matter fact, I'm done here. All these food pictures are making me hungry and I'm about to head right back to Le Pain for their yummy cucumber, cheddar, and avocado sandwich. I've ate that sandwich just about every day since last Friday. Who needs meat? Cool post! You need to start tweeting your posts so I can help spread the word. I really like your blog.